IP20 360° detection angle 12m range. Adjustable time delay 10sec to 7min. Switching capacities 110V-130V max 800W, 220-240V max 1200W. 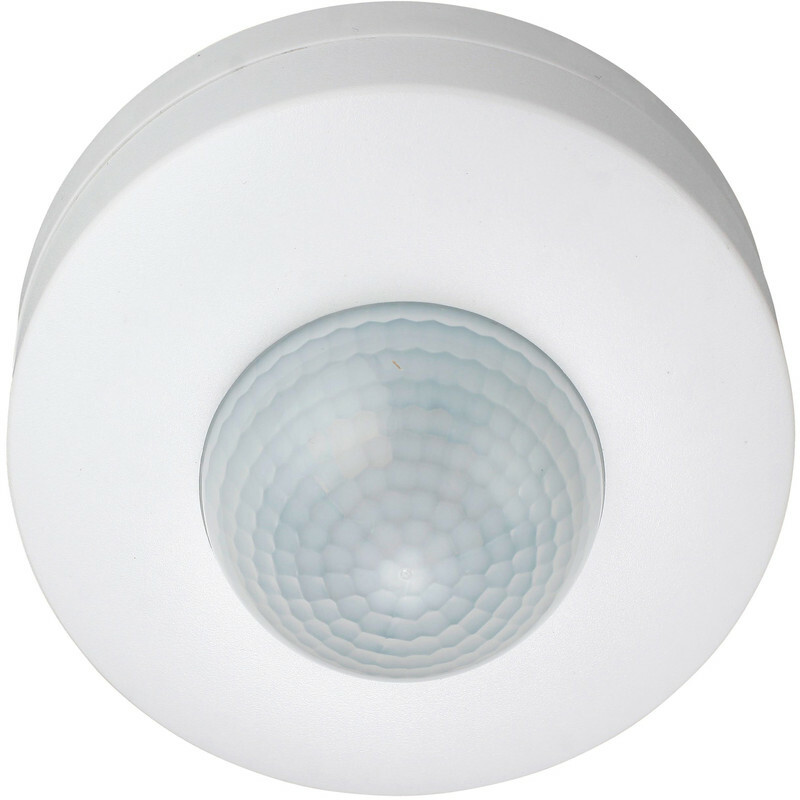 360° Ceiling SM 3 Sensor PIR White is rated 3.1 out of 5 by 8. Rated 2 out of 5 by Bob79 from Terrible product for the money. Sender range it's 5m and not 12m. Rated 3 out of 5 by Anonymous from Not what I needed Purchased this but took it back straight away. I needed a PIR for inside a chiller unit and this one's up rating wasn't sufficient. Rated 5 out of 5 by Browner from Good detection range Seems pretty solid and the 3 sensor version has much better range and sensitivity than my old unit. To get the full quoted range the unit needs mounting quite high up though. I have it on my garage ceiling at 235mm height and it will detect 8m away at ground level. Much better than my previous unit that only managed 5-6m at that height. Good buy. Rated 5 out of 5 by Rene 51 from Best thing since sliced bread Bought it on the Saturday fitted that evening brilliant I wish I had got one a while ago being disabled when entering my door it comes on as soon as I step foot in no more fumbling for the lights. Very efficient. One satisfied customer.